When Miriam and Theo Siebenberg purchased a plot of land for their new home in the Jewish Quarter of Jerusalem’s Old City that Israel had just a few years before captured from Jordan, they had no idea of the antiquity treasures dating back from Jesus’ time and before that lay underneath. 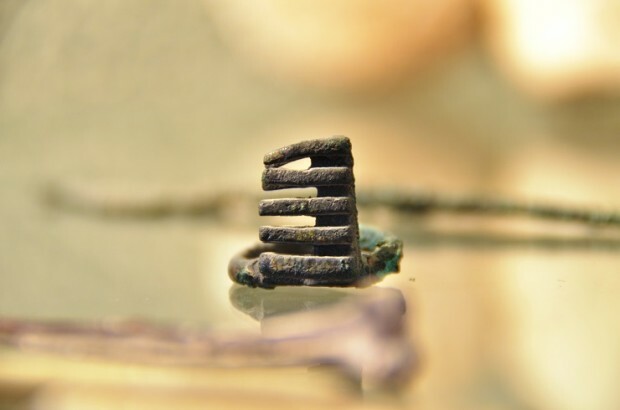 Before the Siebenbergs built their house in a neighborhood where archaeological finds were regularly cropping up, Israeli Department of Antiquities inspectors examined the site, but found nothing of historical significance that would have stopped construction. In 1970, they moved into the new home and were soon to discover how wrong the inspectors had been. At the time, archaeologists from the Hebrew University were excavating all around the Jewish Quarter. But to Siebenberg, that answer didn’t seem right. So he took matters into his own hands. He approached the engineers who had built his new house, asking if he and his wife could conduct an archaeological dig underneath. They told him that if an excavation upset the stability of the land, it could cause the neighborhood to slide down the hill. Still, he didn’t give up. Engineers came up with a pricey plan to construct a restraining wall held down by steel anchors which would secure his neighbors’ homes. A wealthy man, Siebenberg was able to fund the project independently, according to media accounts 30 years ago, and to guarantee his neighbors that he would pay for any damage the dig might inflict on their homes. So the wall was built and the Siebenbergs were able to embark on their treasure hunt. They hired a team of architects, engineers, archaeologists, laborers and even donkeys to bring the rubble up from down below. It was only after eight months of digging that they found their first artifact, a bronze key ring from the era of the Second Temple which may have been used as a key to a jewelry box. 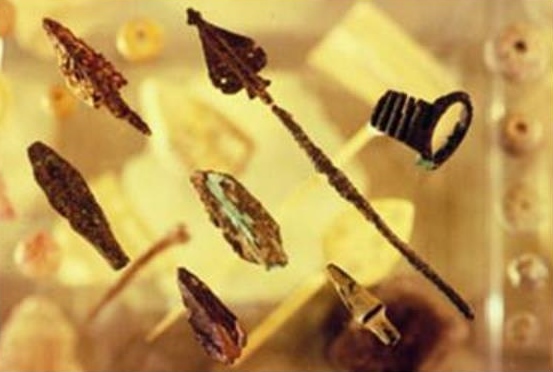 Soon after, they came across an abundance of ancient archaeological treasures. Among them: the wall of a 2,000-year-old home, two mikvehs (Jewish ritual baths), arrowheads possibly used by Jews defending themselves from the Romans, a Byzantine water cistern, an ivory pen and an ink well. Encouraged by their finds, they dug further. Sixty feet below, they found empty burial chambers believed to be at least 2,600 years old, dated to the First Temple. “The Siebenberg excavation is not only a monument to determination and plain bull-headedness, but an engineering and structural marvel,” wrote Biblical Archaeology Review in a 1982 article about the project. After digging for 18 years, they converted the lower levels of their house to a museum where visitors can view the ancient treasures and descend into the excavation to feel what it was like to dig into ancient history. For Theo, the project was motivated by his personal quest to find his roots. At age 13, he was forced to flee Belgium to escape the Nazis. After moving around Europe and eventually to the U.S., he felt he was missing a connection with Jewish history. His wife Miriam tells TheBlaze that he dedicated his life to finding a true home he felt he had lost in Europe. The project “was motivated by wanting to find his roots. My husband was born in Antwerp. He felt like a boy without a home. He was searching for a spiritual home,” Miriam says. “All of the investment and the dedication and effort were aimed at finding the home he was looking for his whole life. That was the idea, finding the historical continuity,” she adds. The Siebenbergs decided to one day donate the museum and its contents to the Israeli public. They have set up a non-profit organization for that purpose. You can view many more photos of the museum and collection on their Facebook page.